This deluxe edition adds 14 rare and previously unreleased tracks to the standard edition featuring 22 classic Cole performances. 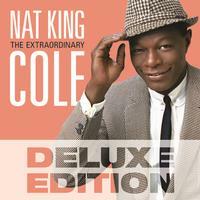 Includes four never-before-heard vintage songs and previously unissued alternate takes of the Cole standards 'Straighten Up And Fly Right,' 'Unforgettable,' 'Mona Lisa,' 'The Christmas Song,' and '(I Love You) For Sentimental Reasons' taken from the Nat King Cole Story sessions. Also featured are 'Ain't She Sweet' and 'What to Do,' recorded in 1954, both of which find Cole trading vocals with his daughters Carole and Natalie, whose cross-generational 1991 duet version of 'Unforgettable' helped to introduce her father to a new generation of listeners.